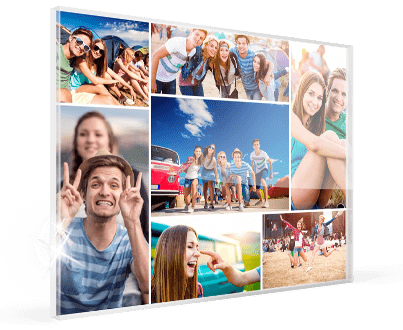 Birthday photo editor – FREE templates for up to 100 photos! 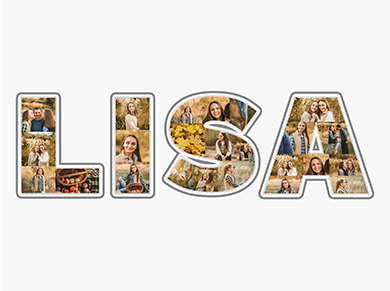 Creating a photo collage for a birthday is always a great birthday gift idea. 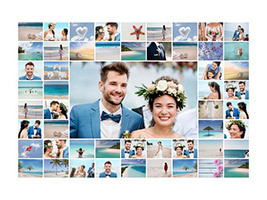 Our birthday photo editor makes it very easy to produce a wonderful collage for that perfect present. 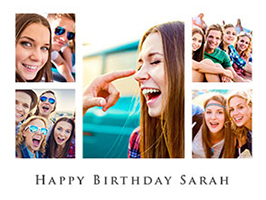 The birthday photo editor includes numerous templates so that you can wish a happy birthday in style. 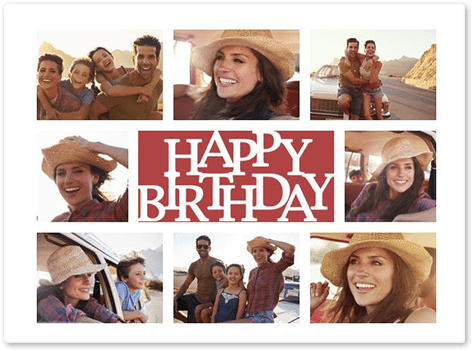 More than ten free templates in our birthday photo editor provide you with a wide choice for creating a beautiful birthday photo collage. 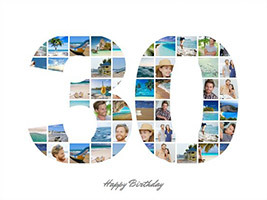 Give our happy birthday photo editor a try and see how easy it is to produce amazing result. Did you know? You can also create collages in the form of a number. 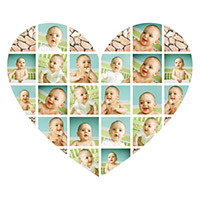 Tip: We also offer heart-shaped collages. It’s not easy finding the right birthday gift. Most of the time, you remember about it too late and then it’s all a bit urgent. 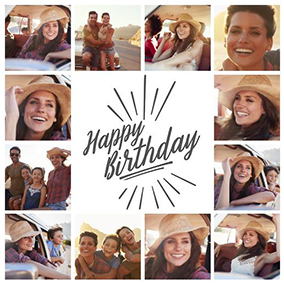 Using our birthday photo editor, you can create a fantastic birthday collage in no time at all. But don’t forget, if you want to present your birthday photo collage on the big day, you have to calculate in delivery times. 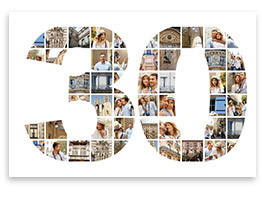 For the ever-popular birthday collages on canvas or as poster, a speedy delivery is usually guaranteed. The happy birthday collage maker ensures you’ll have the finished product in your hands in just a few days. 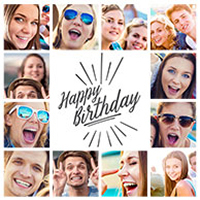 Try our birthday photo editor and be impressed with how easy and quick it is to make a beautiful birthday collage. Image: Photo collage printed onto acrylic glass.